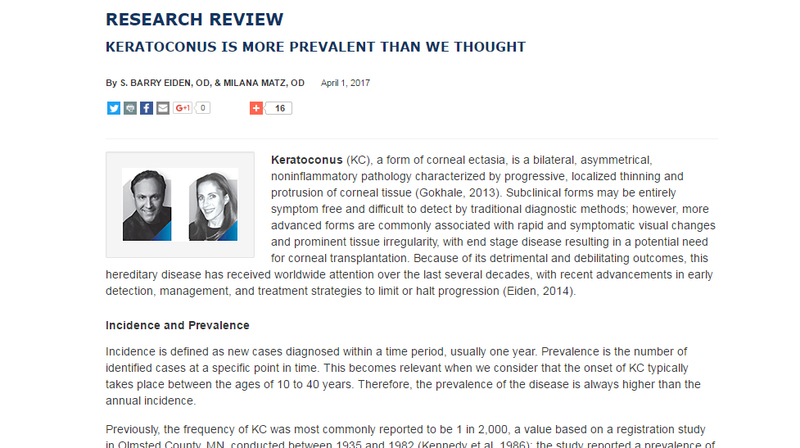 This is a section of our website where IKA will publish articles pertaining to the field of keratoconus and corneal ectatic disease. We will share the most current information available and link in our articles to references and documents that our members can download from this section for their own use and documentation. In this section we will have PDFs, journal links and video links that will allow our members to stay abreast of the some of the most current developments in the field. With our ability to stop the progression of keratoconus with treatments such as corneal cross linking it becomes that much more important to come to some consensus about defining progression of the disease. 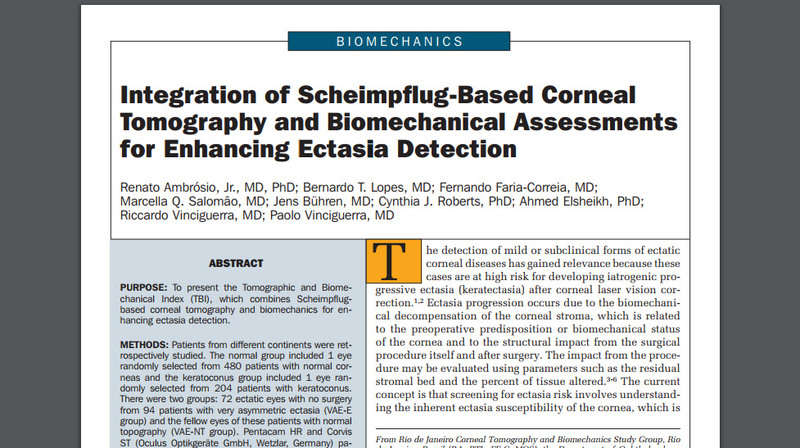 Please take a look at published article that evaluated key corneal parameters from Scheimpflug corneal tomography which were most reliable in detecting disease progression. It appears that one single parameter is just not reliable enough and we need to look at values that reflect a group of measured parameters. Take a look at an article published that reviews the tremendous predicted growth in the keratoconus management market worldwide over the coming years. Due to the high prevalence rate of keratoconus (as suggested in recently published studies) and the expansion of keratoconus treatment technologies, it should be no surprise to those of us involved in keratoconus care that this will be a market with significant growth. An important article was recently published that investigated the application of a newly developed software that combines the information on corneal tomography using the Oculus Pentacam and the biomechanical corneal properties found from the Oculus Corvis system. The software statistically evaluates and gives individual weighting to each of these clinical measurements to come up with an analysis of overall risk for corneal ectasis including keratoconus. The findings suggest that our sensitivity of early detection may be significantly improved with the incorporation of both devices and the use of the combination analysis software. Keratoconus (KC), a form of corneal ectasia, is a bilateral, asymmetrical, noninflammatory pathology characterized by progressive, localized thinning and protrusion of corneal tissue (Gokhale, 2013). Subclinical forms may be entirely symptom free and difficult to detect by traditional diagnostic methods; however, more advanced forms are commonly associated with rapid and symptomatic visual changes and prominent tissue irregularity, with end stage disease resulting in a potential need for corneal transplantation. Dr. Charles McMonnies has studied the issue of intraocular pressure and the impact of scleral lenses. Here is an editorial he recently had published that reviews and summarizes the implications. It is highly informative and insightful. 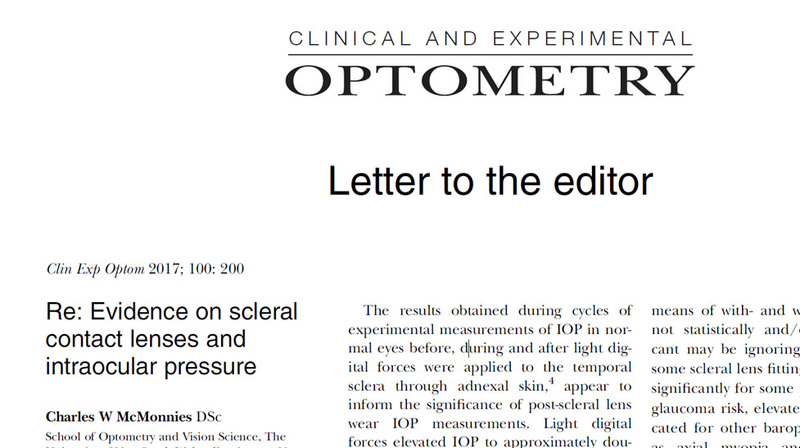 Our members should keep these points in mind when managing our keratoconus patients with scleral lenses who also may have ocular hypertension. Three members of the executive board on IKA recently published an editorial in the journal Vision Rehabilitation and Development. They promote the concept of screening for keratoconus in the pediatric population. 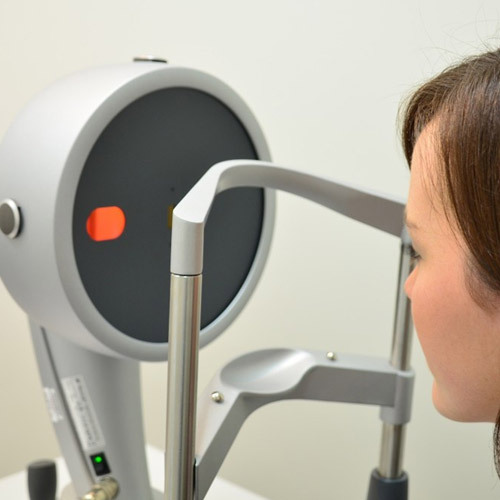 They justify the screening based on the impact of keratoconus on patient’s vision and quality of life and the fact that we now have technologies to diagnose the disease early in its development and technologies able to halt the progression of the disease. 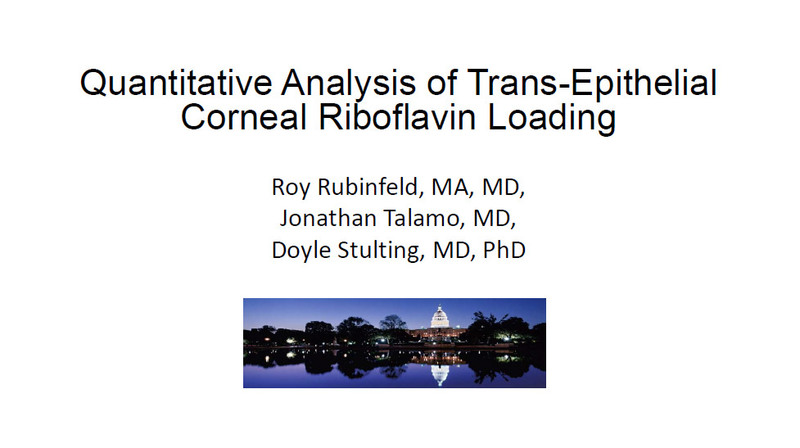 IKA Medical Advisory Board Member Dr. Roy Rubinfeld shares with us a presentation he recently gave on the topic of Epi-On Corneal Cross Linking. See how the “devil is in the details” in terms of why epi-on can be highly effective and also why some methods are not as effective. Drs. 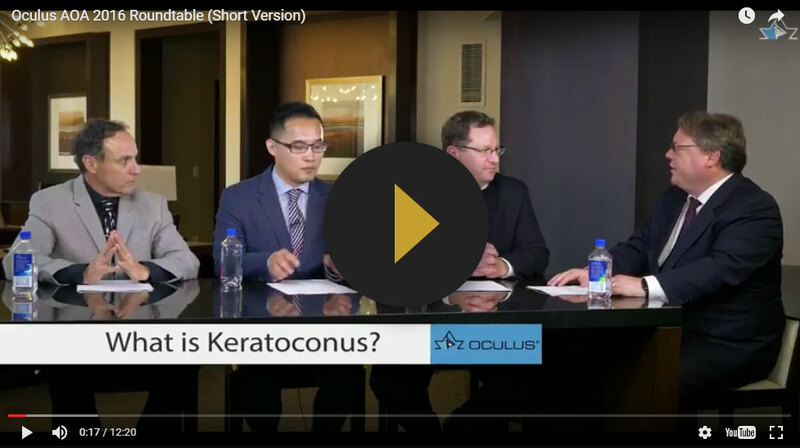 Eiden, Morgenstern, Tullo and Chang conducted a round table discussion on all things keratoconus at the recent AOA meeting in Boston. Click on the video to view an edited version of the event. Look for the full round table video to be available soon. Keratoconus is a degenerative, bilateral, asymmetric, and noninflammatory corneal disorder with a previously established prevalence of approximately 1/2000 or 0.05 percent among the general population. However, recent epidemiology studies have reported prevalence rates as high as 2.5 percent in different regions of the world. Progression of the disease leads to mishapening and gradual thinning of the cornea, causing irregular astigmatism and corneal scarring, which may ultimately necessitate corneal transplantation in as many as 20 percent of these patients. With new technologies that measure the shape and thickness of the cornea in exquisite detail, we are now able to detect the presence of keratoconus well before subjective symptoms develop. 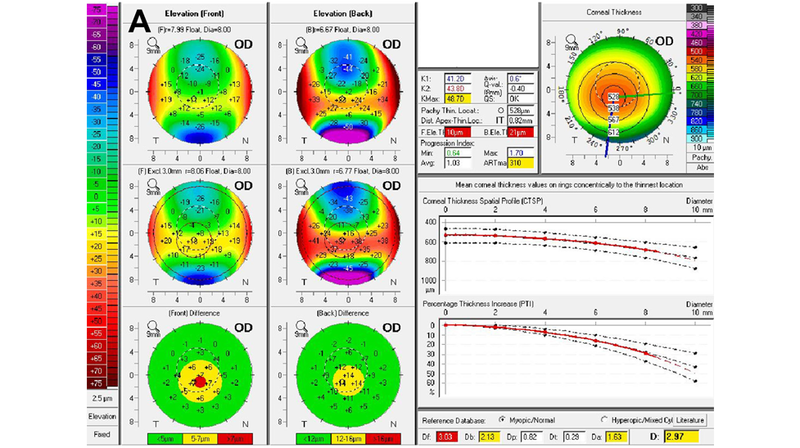 Corneal Topography has become the standard of care in diagnosing keratoconus. A computerized system images the shape of the cornea by taking tens of thousands of data points from the corneal surface. The results are instantly analyzed and a topography map is generated. The colors of the map correspond to the shape of the cornea. In keratoconus the cornea tends to be very steep in shape and quite irregular in shape. Quantitatively the topography values can be monitored for change over time to determine if the condition is progressive. Tomographic corneal analysis (examples are Pentacam, Orbscan and Galilei systems) differs from other topography systems in that it not only measures the front surface of the cornea, but it also measures the back surface of the cornea, the thickness of the entire cornea (global pachymetry), and images and analyzes the anterior ocular structures as well. This is very critical in keratoconus since we have discovered that the back surface of the cornea is affected earlier and to a greater degree than the front corneal surface is in keratoconus. Thickness variations from normal are also early hints in terms of the presence of keratoconus and in the determination of progression in keratoconus. Additionally, software programs have been developed, such as the Belin Abrosio Ectasia Display available for Pentacam, that statistically analyze various elements measured by tomography that would suggest the presence of corneal ectasia. Early phases of keratoconus will typically have abnormalities found with tomography and topography, yet have no other detectable clinical signs or subjective patient symptoms. As keratoconus develops and progresses, clinical signs and subjective symptoms will eventually show up. At some point in the disease process your doctor will note visible thinning of the cornea under the biomicroscope along with folds in the cornea (called "striae"). Other clinical signs include the deposition of iron in the cornea ("Fleisher's Rings"), corneal scares, large increases in astigmatism, and reduced correctable vision with glasses. Patients complain of distortion and progressive blur of their vision along with large and frequent changes in their prescription. Today with the advent of treatments that can slow down if not halt the progression of keratoconus - it has become critically important to diagnose the disease as early as possible. 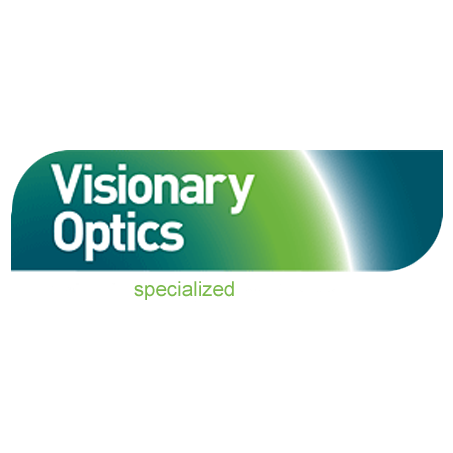 Other technologies are developing that will further aide us in early diagnosis of keratoconus. Anterior segment optical coherence tomography (ASOCT) systems are developing analytic software for their pachymentric measurements that will detect early changes in corneal thickness, especially thickness progression changes from corneal center to periphery. Additionally, ASOCT systems are developing methods to measure and analyze corneal epithelial thickness. Studies are showing that apical corneal epithelial thinning and paracentral thickening may be some of the earliest signs of the development of keratoconus. 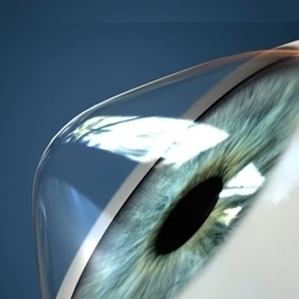 Corneal biomechanics are also thought to be a measurement that will show very early changes as keratoconus develops. Systems that measure the biomechanical properties of the cornea may enable the eye care practitioner to discover abnormalities far earlier in the disease development and surely before clinical signs show up that effect vision. Thus again, enabling us to intervene early to prevent progression to a clinically significant state.